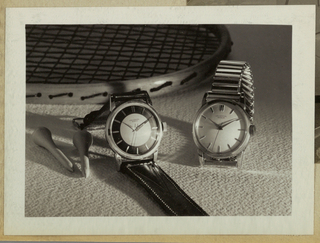 See more objects with the tag circular, time, watch, wrist. This is a Big Pilot's Watch. It was produced by Santoni. It is dated 2002. 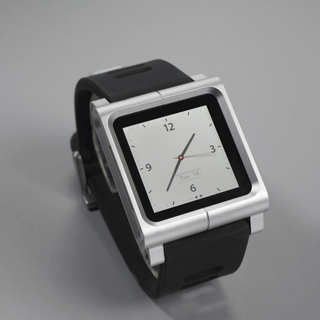 Its medium is ceramic face, glass, metal, calfskin band. 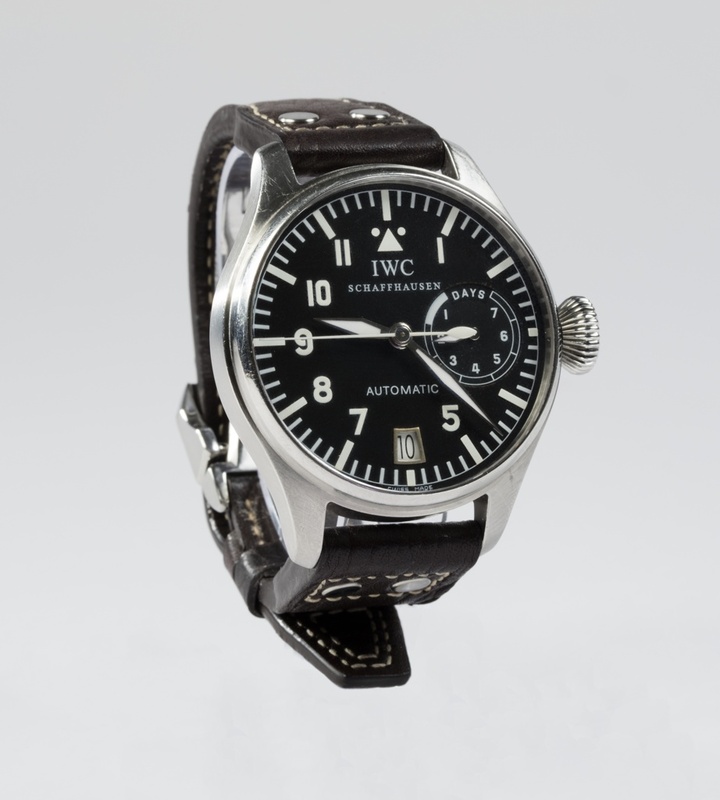 The original Big Pilot’s watch was designed in the late 1930s and featured a dial that resembled cockpit instruments from the early days of aviation. It had special features designed for pilots: a large, conical crown that could be manipulated while wearing gloves (early cockpits were unheated); a soft-iron inner case for protection against magnetic fields; a front glass secured against displacement by sudden drops in pressure; a luminescent dial, and a triangular index at the 12 o’clock position for instant orientation. It is credited Lent by Robert M. Greenberg. 12.3 x 16.7 cm (4 7/8 x 6 5/8 in. ).